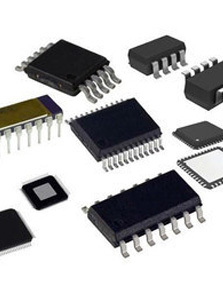 Smart Manufacturing - Your one stop shop for Electronic Hardware Manufacturing! 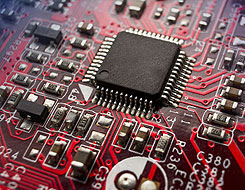 Provide high quality, low cost single source solutions for PCB Fabrication and Assembly services for our Customers with the convenience of a One Stop Shop. 24 hour support for quotes and technical help. Quick Turn Prototypes, 24 hour turns available. Delivery in as little as 3 days for off-shore orders . Domestic and overseas manufacturing for pre-production and production runs in ISO Certified facilities. Partial procurement of parts on your BOM is not a problem. Getting designs to the Marketplace First is critical to our customer’s success. SBC is the “World Leader" in getting your product to the market place first. 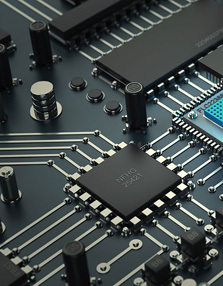 To accomplish this goal we offer the quickest turns in the industry from PCB Layout to Loaded Assembly so your engineers can verify their designs right away. If you are looking to utilize our service: “Worlds Quickest” PCB Layout to Loaded Assembly you should contact us immediately. Schematic Assistance – Typically Customers provide schematics along with the additional information required to layout a PC Board. In cases where you require assistance to build your schematic please don’t hesitate to contact us. 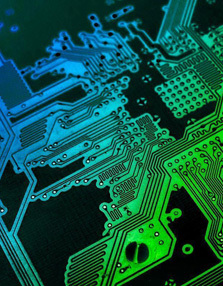 Information Required to Quote and Produce a Printed Circuit Board Layout: 1. Complete and verified schematic(s) in one of the software platforms we offer. (PCAD, Cadence Allegro, PADS (Mentor Graphics), or Altium Designer). Building Your PCB Design/Layout - Taking the Next Step Once Smart MFG. has completed your PCB Layout we can manufacture and assembly boards in as little as 48 hours, right in the same facility.